In the event that you need to change your server administrator password you can do so by following the steps below. Expand Local Users and Groups and then select Users. 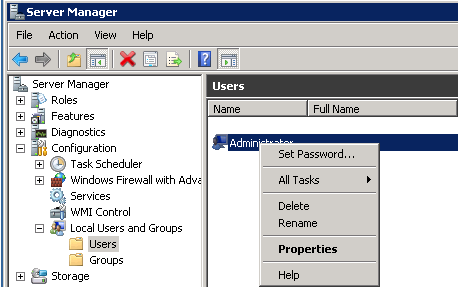 Right click on Administrator and choose Set Password and then click Proceed. Type in the new password and select OK.